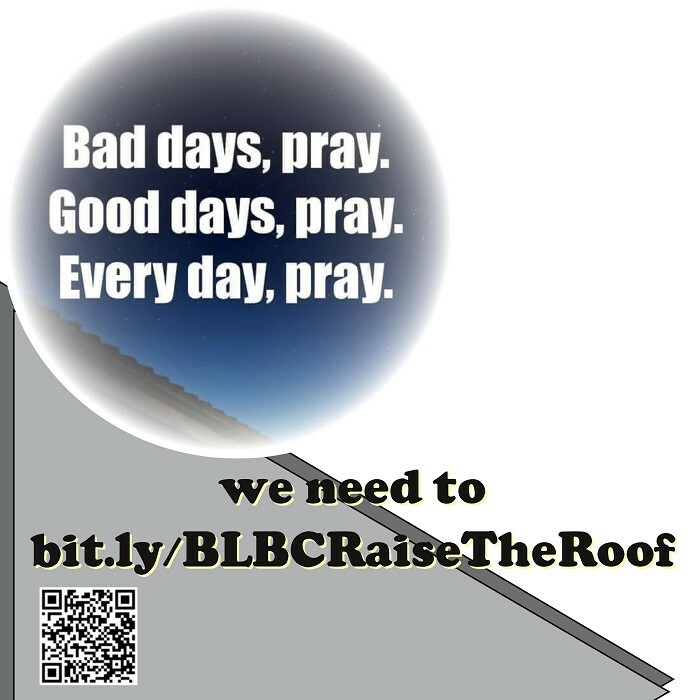 We all know what "Raising The Roof" means -- we just didn't think we'd have to run this kind of fundraiser for ourselves. Over the decades we've done this for others -- donations, work, and prayer. Now it is our turn to humbly ask for these. Our building was made with loving care. It was made in two stages, adding to it as the need arose. Stage one is the original (and current) sanctuary/worship hall (formerly Fellowship Hall) and holds 100 people. Stage two is our (preferred) Sanctuary/Worship Hall and holds a little over 200. In 2017, the trusses in stage two were found to be separating at the top. We are now meeting in stage one since the roof of stage two needs rebuilding. Due to the stress of holding up both sections, stage one needs repair. Prior to all this, we made an agreement with Celebration Preschool for them to build and lease on our property. They were using all our facilities for daily programs and specials. They have expanded into adult daycare where the children and adults interact. All of their programs are now using our stage one facilities. Despite all of these setbacks, we have expanded to a vibrant evening service with a game/movie night following, a solid set of bible studies, and other programs. We continue to be a voting/polling place as we have been for many, many years. Celebration Center is expanding their programs and facilities on our property as well. As a whole, we are striving to continue to serve our community to our best ability. We do need help with these repairs, especially since they were sudden, unplanned, and truly massive (almost catastrophic). We would greatly appreciate any help you could give as we continue to help our community any way we can. We urgently request your prayers. We will also appreciate donations of materials and work. Please contact us if you can help. The internet lends itself to monetary donations that would help pay for work and materials. We thank you all for all the love and support in times like these.